Our SSU of the month is Naisala, a former SSU currently working in the business sector. For centuries, numerous prophets, deacons, pastors, elders, and so on have risen in the Church to deceive people. Many of them claim to have a word from God and misuse Bible verses in order to entice church members. How do we escape from these deceptions? How do we spot fake men of God? 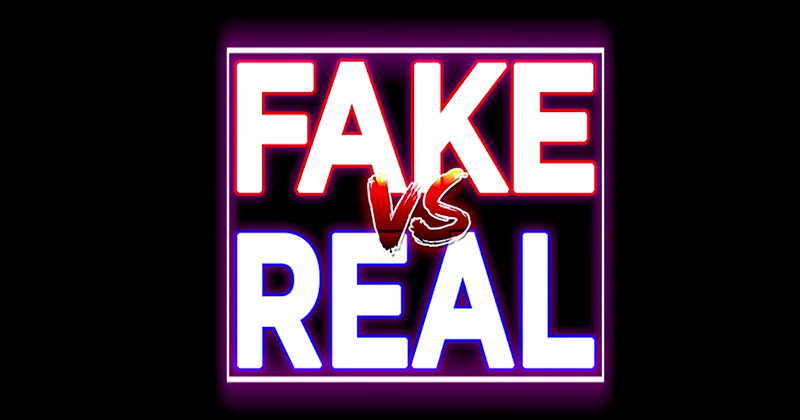 How do you discern fake men/women of God? It all starts with having a close relationship with God through regular prayer, fasting, and Bible study. For example, if I’m blindfolded, I can still discern my aunt’s voice among many other women because I have spent so much time talking and listening to her. The same goes with discerning those who are of God vs those who aren’t. What is the key, according to you, to knowing whether a prophecy or word given to you is fake or real? This is a tough one, because at times, you can have fake men of God giving you words that go along with the Word of God, just like the devil who used Bible verses to tempt Jesus. One, I will insist again on having a close relationship with the Lord, and will also mention the importance of being filled with the Holy Spirit because He will give you a sharp mind to discern when you submit to His leadership. Two, you need to have a good knowledge of the Word of God. This doesn’t mean you should know the Word verse by verse but at least you should have a good knowledge of who God is and how He operates. The reason Jesus was able to resist the devil’s temptations is because He knew the Word of God enough to recognize when Bible verses were misused. What’s your attitude towards fake men/women of God that you meet? I have been to many churches and met several people who literally fake it! And I respect them as individuals but I would never associate myself with them, e.g. attending their church, listening to their sermons, or even taking into consideration a message they give me. Have you ever been deceived by a supposedly man of God? What lesson did you learn? Yes, it has happened before, and I have also been deceived by real men of God, who meant well, but for a moment misinterpreted the Word of God. The lesson I learnt is that no matter who is talking to me whether a trustworthy preacher or even godly person, I always need to sit down and analyze their words against the Bible. I just can’t be carried away because ‘pastor X said so.’ I need to be convinced by the Holy Spirit. Today, many church members blindly follow fake men of God, why do you think this is so? The answer is very simple, I quote Hosea 4:6 “My people are destroyed for lack of knowledge. Because you have rejected knowledge, I also will reject you from being priest for Me; Because you have forgotten the law of your God, I also will forget your children.” When you don’t invest time knowing God through Scriptures, you become an easy prey of the devil. What do you say to those who tell you “Thou shalt not judge” when it comes to discerning real and fake men/women of God? I tell them that the same Jesus also said in the same chapter of Matthew 7 in verses 15-16 “Beware of false prophets, who come to you in sheep’s clothing, but inwardly they are ravenous wolves. You will know them by their fruits.” How am I going to ‘beware’ of false prophets if I don’t have a discerning spirit? How can I recognize these false prophets if I don’t ‘inspect’ their fruits? The thou-shalt-not-judge defense is another one of those misused Bible verses by the devil in order to refrain people from discerning real from fake. What would you say to SSU? Take pleasure in knowing your Heavenly Father for who the Bible says He is instead of what preachers or people tell you. I understand that with school and job, you may not have time to do so but it’s all about proper planning; if there is a will, there is a way. Be filled with the Holy Spirit and He will lead you in the path of life rather than deception. Next How Do You Resist the Devil?